This is gorgeous looking bread. The eyes are taken care of and I'm sure it tastes good too. What gorgeous bread! Very tasty I'm sure. Fabulous loaf of bread Angie. This is my first time to see bulgur in bread and the loaves are so pretty too. I would enjoy their nutty taste that the bulgur brings. Wow .. the top looks so crusty just the way i like it. Would to have a loaf for breakfast! I like the shape of your bread. It has nice crust too. Gorgeous looking loaf. Looks nice and hearty. I'd love a warm slice with melting butter! I love the rustic look and soft texture of those loaves. I can imagine their rich flavor and scent. Nicely done! A beautiful rustic bread, Angie! I would love those sweet, nutty flavors. This bread looks so good, I wish I could just grab a loaf. The bulgur sounds like a fantastic idea (I've never had bread made with bulgur before)! Lovely bread. I never imagined that it could be used to make bread. Bulgur, is not only a Middle Eastern staple but its use is most common in Europe as well. Angie,your bread sounds so healthy. The loaves really turned out great...definitely bakery quality bread. 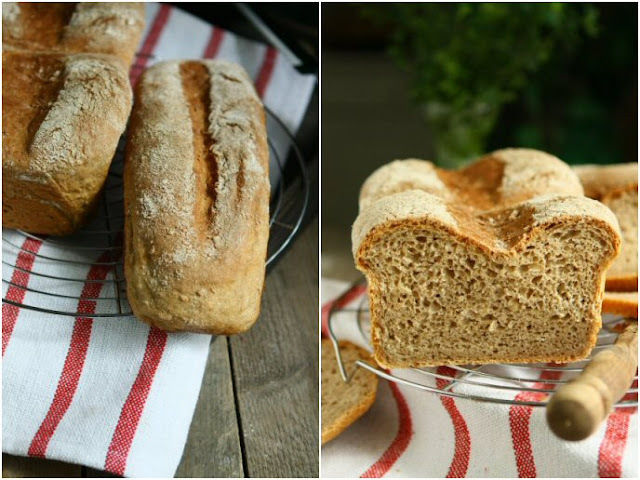 I love the rustic appearance in the pics..
What a flavourful and tasty looking bread! This bread looks absolutely wonderful! I would eat this any day! What a great use of bulgar! A hearty loaf indeed. This looks so rustic and perfect. Yum! The bread looks good in appearance. I am sure it would be delicious too. I purchase bread from bakeries near to my house but I did not try to prepare one yet. Your post would be helpful to try as a start. Those are two handsome loaves. There's nothing like crusty bread - and the smell of bread baking is devine. There is a type of bulgur bread made in South Lebanon that is made almost exclusively with bulgur; I love this one for the sandwich possibilities! You are a master at baking Angie! That bread looks very hearty. I bet it would make great toast. Beautiful bread, Angie. I've never made a loaf with bulgur. Bet it's marvelous toasted! This is such a unique use of bulghur. Being Middle Eastern, we use it in our home several times a week. I have never thought to express it in a western-style bread. Lovely share! What an interesting bread; I wonder if the bulgur adds texture to the bread? Angie , these are gorgeous bread ! I've seen these kind of bread here but they don't list bulgur as an ingredients :P Or maybe it's just the same color :D Sounds like it has this interesting texture with those grains you've used ! I've never tried using Bulgur in bread. This bread has such a nice combination of ingredients, I'm sure it tastes wonderful and is nutritious. Next time I decide to make bread I'll definitely give this recipe a try. Thanks for sharing. I love the shape of this bread, lovely crumbs too! I LOVE the idea of using bulgur in bread -- and it turned out so beautiful! Bet it has great flavor and texture too! I've never used Bulgur before. I would love the nutty slightly sweet flavor of this bread. I can see the soft texture in your photos. Very nice Angie! This is just too impressive! Love this bread. Baked so beautifully and perfectly. I am a bread girl, I can have it with every meal, and your looks so hearty and delicious@ Love it! As always, great photos! I love everything about this bread! Can´t wait to try it! I see a sandwich with hard boiled eggs, home grown lettuce and heirloom tomatoes with just a smear of mayo on the bread, yum. Nice loaf of bread...never thought in using bulgur...looks so light with great texture. RICO PAN LUCE ESPECTACULAR ME ENCANTA,ABRAZOS HUGS,HUGS. what nice a bukgur bread! Angie I used a lot bulgur but never in bread! nice!! Yuumm. I bought a huge bag of bulgur the other day for my tabouli and don't know what to do with the rest, so thank you! Delicious bulgur whole wheat bread, it has beautiful crust and crumb. I am still not an expert in baking. Just getting my hands there. Baking bread at home is my most recent fav activity ! The bread you baked looks perfect. I need tol bake more but scared of the whole process. Kudos to you for a successful loaf! Beautiful loaves, Angie! I like the look of the crusty crust! I love bulgur but would never imagine I could put it in a bread. Awesome! you must submit your bulgur whole wheat bread photos on Food Photography to make others hungry? These loaves are cute, especially with the indented crust! I've never seen this type of bread before but it looks amazing! I'm bookmarking it right now! As usual the perfect made bread and photo lovely! The look of your bread looks so cute. Loving it. Oh, how I'd love to be your neighbor! I'd come knocking on your door anytime I caught the yeasty smell of fresh baked bread! This whole wheat version looks marvelous!! What a gorgeous, rustic loaf! This looks so healthy and whole-grainy. I'd love some with a slather of jam. This looks so tasty Angie! I love honey wheat bread! Bulgur has such a hearty, robust flavor. I imagine it tastes quite at home in a bread like this! Beautiful work, as usual, Angie! There's nothing like a loaf of fresh baked bread! 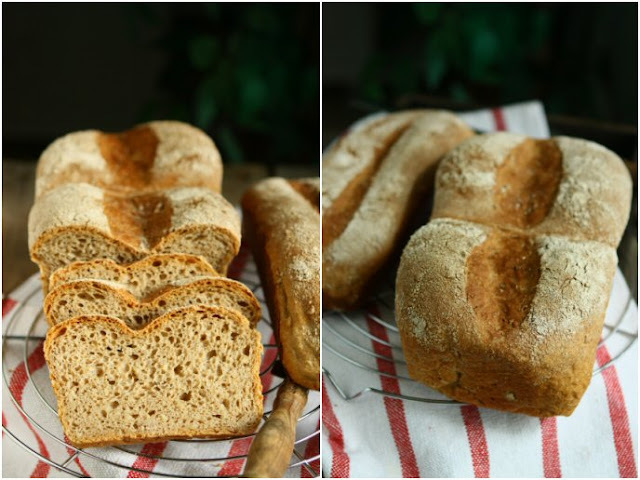 Your bulgar bread sounds incredibly dense, flavorful and delicious1 Thanks for the recipe! Oh Angie this sounds so good! I love baking and this is a great recipe to try out. I never tried to use bulgur to make bread, perfect for a healthy and tasty breakfast. Your skill just amazes me. The bread looks perfect. This looks like it would make a terrific sandwich bread with lots of flavor! I am totally making this! Have so much bulgur at home. Coarse, fine, medium whatever you want. Is it ok to skip wheat germ or is it required for the texture? It's optional. I have also baked this without using wheat germ and it's perfectly all right. Angie, I made them. They were perfect. Thanks for sharing. If you let me I'like to put the recipe on my food blog, called TuzEkmek. @sare I am glad that you tired and enjoyed the bread. Sure you can use the recipe on your blog.